Have you been arrested for violating an injunction in Orlando, Florida? Do you understand the charge against you? Many people in Florida are not clear on the definition of an “injunction” and typically refer to these orders as “restraining orders.” While restraining orders are a type of injunction, not all injunctions are restraining orders. It’s important to understand the various types of injunctions a person may request in Florida and the many ways you may unwittingly violate them if one is issued against you. If you face charges, it’s imperative to talk to a criminal defense lawyer who has helped many people in your situation attain favorable results. At The Umansky Law Firm, our team of injunction violation lawyers will fight for you every step of the way. A domestic violence injunction is a court order issued in connection with a prior domestic violence petition that restricts or prohibits family or household members from being in touch with each other. A “family or household member” under Florida law is a spouse, former spouse, person related by blood or marriage, or someone who presently resides with you as a family or who have done so in the past. Family or household members also include the parents of a child regardless of whether they have been married. Family or household members are people currently residing together or who have done so in the past, with the exception of parents of a child. Section 741.30 of the Florida Statutes provides that anyone who has reasonable cause to believe he or she is in imminent danger of becoming a victim of domestic violence may file a sworn petition for a domestic violence injunction in the circuit court. If you become the target of a domestic violence injunction, you must abide by the rules in the court order. Although the injunction is filed in civil court, there are criminal penalties for violating its terms. You may inadvertently violate a domestic violence restraining order in several ways, which is why it pays to be extremely careful when reviewing the terms. Violating an injunction for protection against domestic violence is generally a first-degree misdemeanor offense, which may lead to a period of up to one year of incarceration, fines of up to $1,000, and possibly community service and other court-ordered penalties. Repeated violations may lead to enhanced charges. 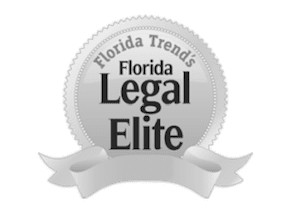 Additionally, there are other kinds of injunctions people may seek in Florida, for which violations are usually first-degree misdemeanor offenses as well. While domestic violence injunctions are among the most commonly-issued in the state, other injunctions exist for which violations can also lead to criminal charges. A person may seek an injunction for protection against repeat violence, which consists of two incidents of violence or stalking by the respondent. A family relationship does not need to exist between the petitioner and the respondent for the petitioner to seek an injunction for protection against repeat violence. Violating an injunction for protection against repeat violence by committing an act of repeat dating or sexual violence can result in a first-degree misdemeanor charge punishable by incarceration of up to one year and a fine of up to $1,000. A petitioner may seek a sexual violence injunction whether or not there is a criminal case. Violating a repeat violence injunction is a first-degree misdemeanor offense. A person who is in a dating relationship with someone whom they reasonably believe will cause him or her harm may also seek a dating violence injunction. Violating a dating violence injunction is also a first-degree misdemeanor crime. It’s important to note that, even if the petitioner attempts to contact you, responding to him or her is a violation of the injunction against you. The experienced attorneys at The Umansky Law Firm will review all the facts surrounding the circumstances that led to your injunction violation and defend your character and protect your rights in court. Call us at 407-228-3838 or contact us online to set up a free consultation.